Sergio Marchionne, the 65-year-old Chairman and Chief Executive of Italian supercar maker Ferrari, created a flutter last month when he said the company was considering products beyond its traditional sports car to double profits by 2022. The takeaway was obvious. Ferrari was mulling a sports utility vehicle or SUV. Puritans in love with the brand's history of superlative rear wheel-driven sports cars were dismayed. Marchionne was quick to add it would be done in Ferrari's style. What that meant was anybody's guess. Till a few years ago, this would have been considered a catastrophe for the brand. Today, it elicits just a surprise or a smirk or a resigned nod by old timers at cafes outside Ferrari's home at Maranello. That the world's biggest Formula 1 brand would make a car more at ease off the track than on it would have been unthinkable a decade ago. In 2017, it is a necessity. "That space is too big and inviting," said Marchionne. There has been a growing craze for SUVs all over the world. One exception has been ultra high net worth individuals who prefer ostentatious chauffeur-driven saloons or thoroughbreds made-for-the-track sports cars. Traditional wisdom says a vehicle capable of going into a jungle or a desert cannot provide the kind of comfort and luxury the super rich want. It's no longer true. The company that first identified the potential for such vehicles was Porsche. In 1998, the German sportscar maker, synonymous with the iconic 911 sportscar, decided to make an all-terrain vehicle with four doors. Few believed it could pull it off. It had, after all, no all-wheel drivetrain credentials, unlike a Jeep or a Range Rover, and the world had started shying away from big burly gas guzzlers. Most thought the vehicle would be a disaster and undermine Porsche's sportscar credentials too. A little over four years later, as the first Cayenne rolled out from Porsche's Leipzig factory, it became clear that the rivals and detractors were wrong. The SUV ended up saving it financially. Over 600,000 units have been sold; the strong demand led to the birth of a slightly smaller SUV, Macan, in 2014. Last year, the two clocked sales of 166,509 units and accounted for nearly three out of every four Porsches sold in the world. Their success that has, as Marchionne said, forced others to re-look at their product line-up. These companies are not alone. British luxury icon Bentley unveiled its first SUV, Bentayga, in late 2015, only to be followed by arch rival Rolls Royce with Cullinan, which is still under development. So did Lamborghini with Urus, James Bond's Aston Martin with Lagonda, Jaguar with F Pace and Maserati with Levante. "We are the first in the luxury SUV space and at the moment unopposed, but a lot of rivals are coming to the sector," says Bentley CEO Wolfgang Durheimer. Ferrari is willing to raise its self-imposed sales threshold of 10,000 units a year. It needs an SUV. "There has always been an interest in SUVs from ultra high net worth individuals," says Ian Fletcher, who has in the past worked with Jaguar and Bentley and is now a principal analyst at research and consultancy firm IHS Markit. "However, it has only been in recent years that brands synonymous with luxury have embraced this category," he says. Like Cayenne, these SUVs are expected to broaden the appeal of the companies among core consumers and also bring in younger customers. The momentum seems to be building. The first lot of 3,500 units of Bentayga, which went into production last year, was sold in advance. The company increased production by 1,500 units. The waiting period is over 24 months in some markets. It is already Bentley's best-selling model by some distance. According to IHS, in 2014, 14,900 units of super luxury SUVs were sold. As Bentayga and Maserati Levante hit the roads, sales grew to 26,750 units in 2016. By 2020, the numbers are expected to swell to 40,000. While looking to retain the DNA of the mother brand, each vehicle is trying to create a niche for itself. With Bentayga and Cullinan, Bentley and Rolls Royce are attempting to make the most ostentatious off-road vehicle ever - one that is monstrously powerful, fast, good looking and offers the same luxury as their other cars. Touted as the most powerful SUV in the world, Bentayga has a six-cylinder twin turbocharged engine that gives 600 bhp and 900 NM torque, a top speed of 301 kmph and is capable of sprinting from 0-100 kmph in 4.1 seconds. And while all other SUVs are churned fresh off the shop floor in dozens - Cayennes, Macans and Range Rovers included - it takes 130 hours, over five days, to handcraft a Bentayga. The level of customisation is unparalleled. Standard equipment includes diamond-quilted seats, drilled sports pedals, embroidered Bentley emblems and full choice of hide, carpet and interior colour combinations. There are 15 standard colours for interior hides and carpets on offer. They also can be fashioned to the customer's specific requirement. Even on the outside, the choice extends to 17 standard and over 100 optional exterior paint colours, a range of 12 dual tone colour schemes available in 'light over dark' or 'dark over light' configurations. The quirky side of uber luxury is a tri-compartment trunk designed jointly with British designer Mulliner. Hand-trimmed in Beluga hide, one compartment has crockery and cutlery, the other is cooled for two bottles of champagne, and another is for storing clothes. No wonder only 6,000 units could be made in a year at the factory at Crewe. The exclusivity itself is a major factor in the luxury quotient. But Cullinan by Rolls-Royce, named after the world's largest uncut diamond, will certainly match and possibly exceed Bentayga on both luxury and performance. In the cut-throat world of uber luxury, Rolls- Royce CEO Torsten Muller-Otvos has drawn first blood by taunting Bentayga's common underpinning with the more mundane Audi Q7. "We are not using mass-manufactured body shells. That limits what you can do on the design side, and it undermines exclusivity massively," he said in London earlier this month. "You dont want a camouflaged [Audi] Q7 in that segment. You want to have a true Rolls-Royce." Cullinan would be one vehicle to watch out for. Even Bentley will be waiting for it. If Rolls-Royce and Bentley are jostling with each other to floor consumers with bespoke luxury, the models that will come out from the Italian stables - Lamborghini, Maserati and Ferrari - will be high on sports styling and speed. 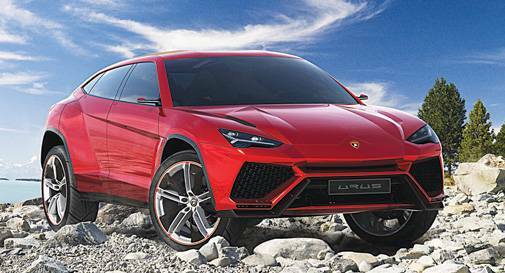 Lamborghini Urus, first showcased at the Beijing Auto Show in 2012, is expected to usurp the title of the fastest SUV in the world from Bentayga when it hits the road next year. With a four-litre V8 turbocharged engine capable of 600 hp power, it will have a top speed of 328 kmph. "We want to create a completely new segment and introduce the world's first super SUV. 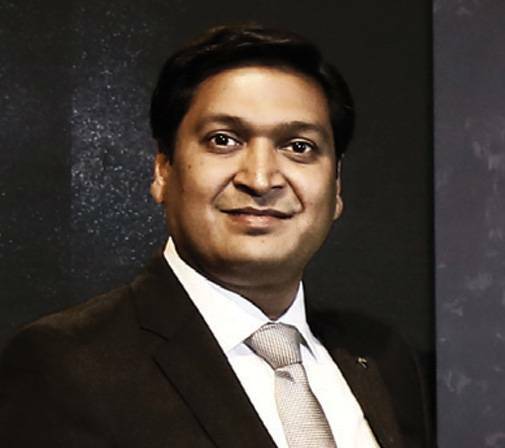 It has been developed to offer customers a unique design, luxury interiors, outstanding performance with versatility and everyday usability," says Sharad Agarwal, Head, Lamborghini India. 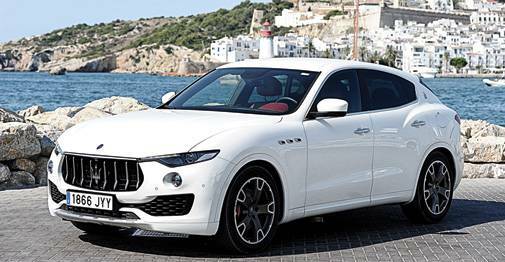 Maserati Levante or Jaguar F Pace do not have the horses to take on the big boys of the game but have their own charm. The F Pace banks heavily on its chief designer Ian Callum's genius while Levante uses a lot of carbon fibre and technology to maintain a 50:50 weight distribution, a difficult feat for a car with engine in front. Levante's feature list includes an all-wheel drive system, designed in house, advanced active air suspension with five ride heights and six levels of capability and comfort. 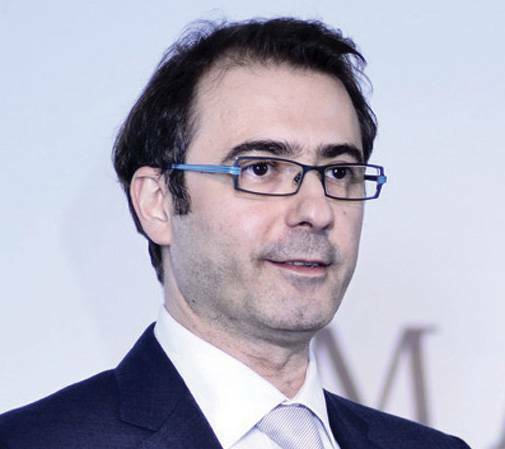 "The biggest challenge for designers was defining a new design style in the SUV world and combining coupe lines with top-notch interior space," says Bojan Jankulovski, Head of Operations, Maserati India. "The thought process was combining sport with recreation - a powerful and sporty Maserati engine with a versatile yet effective car body of an SUV. A Maserati customer seeks the thrill of belonging to a select tribe. A Levante customer is young, doesnt follow trends and looks for an array of innovative solutions in line with the SUV characteristics. He wants a badge that delivers elegance, style, performance and at the same time is sporty and practical." It is unlikely that many of these cars will be driven off the road. But they bring in a breath of fresh air and novelty.